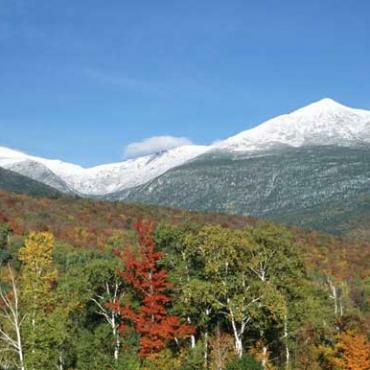 Experiencing the alpine zone of the White Mountains of New Hampshire is a special treat. Join us on this 4 day/3 night fully guided hiking adventure as we explore this challenging yet stunning part of New England. 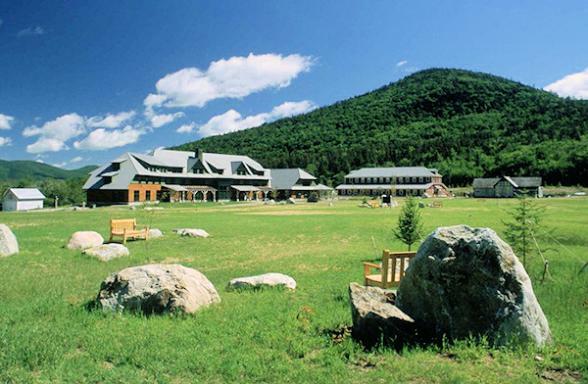 Your base for this hiking adventure is the Highland Center, Crawford Notch. 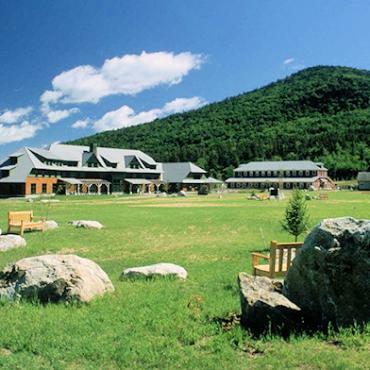 Nestled in the heart of New Hampshire’s beautiful White Mountains, the Highland Center is one of the Northeast’s premier destinations for hikers lodging and recreation. 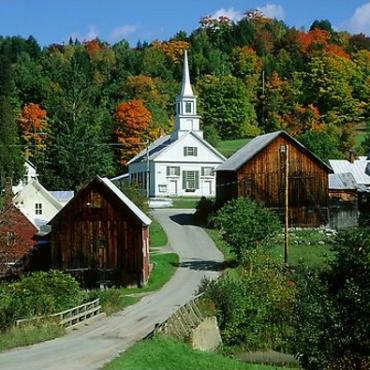 For more than 150 years, visitors have travelled to Crawford Notch in search of adventure, relaxation, and the serenity of the mountains. Today, the Highland Center continues to be a prime location for all kinds of outdoor activities and was recently selected as one of the top 19 wilderness lodges in the world by Men’s Journal. Owned and operated by the Appalachian Mountain Club, the nation’s oldest conservation and recreation organisation, the Highland Center promotes responsible use of the region’s mountains, forests, and rivers, based on the philosophy that successful, long-term conservation depends greatly upon people’s firsthand experiences outdoors. The club conducts ongoing research projects to study air and water quality in the White Mountains. The stunning location of the Highland Center provides easy access to a large number of trailheads to explore the nearby mountains. 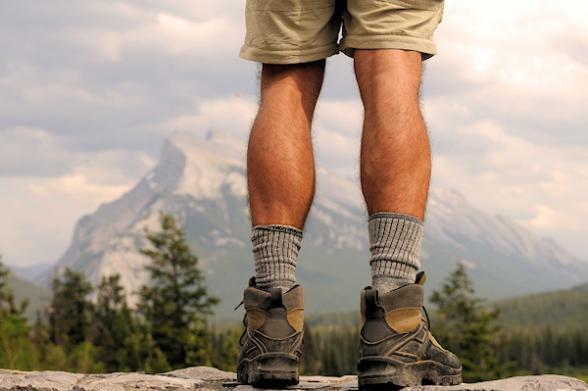 These hikes can range from easy hikes to waterfalls and ponds to alpine traverses. 2 full days of guided walks by highly professional AMC Guides. 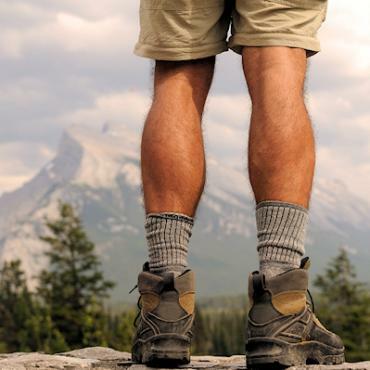 Maximum hikers per guide is only six. * One of the amenities at the Highland Center is the LL Bean equipment room which provides guests at no charge the necessary gear to be adequately outfitted for the weather. Equipment includes boots, packs, rain gear, fleece, and more. So no need to bring these heavy items with you, using up your baggage allowance. Information on clothing and equipment You will be outdoors and active each day, so please come prepared for the most extreme weather. When dressed and geared properly, even the most challenging conditions can be encountered successfully. In general, it is best to bring multiple layers of clothing constructed of wicking fabrics (synthetic or wool) that draw moisture away from the body. Layering will allow you to closely regulate your body temperature in response to changes in weather and your activity level. A pre-trip meeting including safety talk, the 10 essentials for safe hiking, route explanation, and gear check. Hiking adventure operates late April - early November. 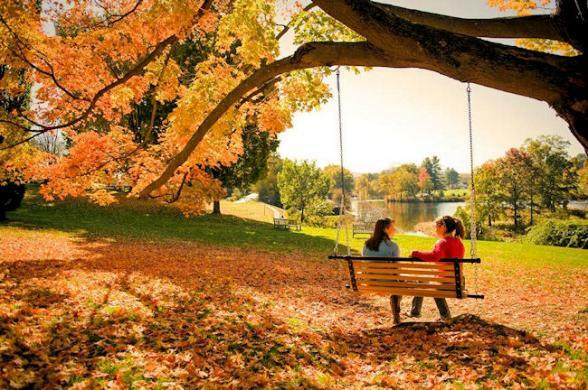 The fall period is especially breathtaking. Note: Actual course content and schedules may be altered without notice due to weather, participant skill level, or other unique conditions at the time of the course. This hiking trip is not suitable for children aged under 12 years. Arrivals are allowed any day of the week. Arrive for dinner at Highland Center Lodge, Crawford Notch. Welcome session and overview of equipment, clothing and hikes and time to meet your fellow hikers. Head out for a day hike along the historic Crawford Path to Mizpah Spring Hut. Our hike takes us through the northern hardwood forest where spring warblers abound. Mizpah Spring Hut (3800 ft) sits on the shoulder of Mt. Clinton in the heart of the boreal forest. Optional side trips could include Mt Eisenhower or Mt Jackson depending on the group’s ability and the weather. A trail lunch is included. An evening Naturalist Program will be offered after a hearty dinner. Depart for a day hike along the Southern Presidential Range to Lakes of the Clouds Hut (5012 ft) and Mount Washington. Highlights include mountain vistas and several unique alpine plant communities. 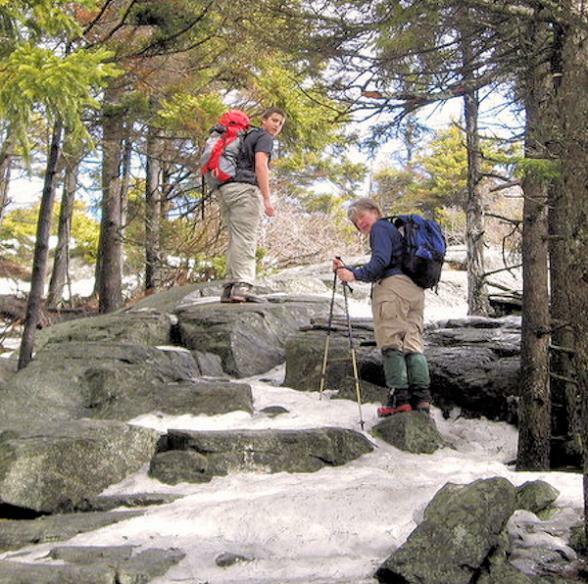 The hiking trail is considered moderate with rocky footing that can be slick when wet. Lakes of the Clouds is 1.2 miles from the summit of Mt Washington. The trail from Lakes of the Clouds hut to the summit is on the Crawford Path Trail – the nation’s oldest hiking trail in continuous use. The open terrain offers magnificent views in all directions. 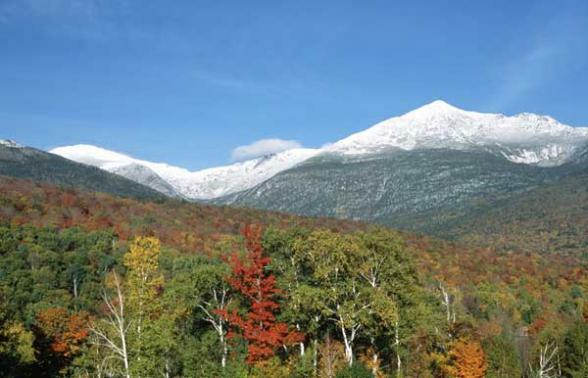 You'll explore the geologic and glacial features of the landscape and stop at the top of Mt Washington, the highest peak in New England at 6,288 feet. After a trail lunch, you'll walk through the Weather Observatory and learn about the conditions and unique work that goes on. From there, you'll head down the Gulfside Trail to the Jewell Trail back to the base of the mountain. Farewell Dinner at Highland Center Lodge. Enjoy your final breakfast and depart mid morning. 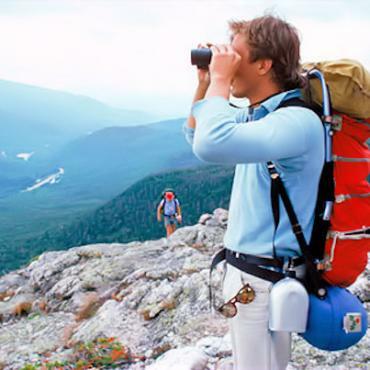 This hiking experience can be inlulded as part of a larger holiday adventure in America. 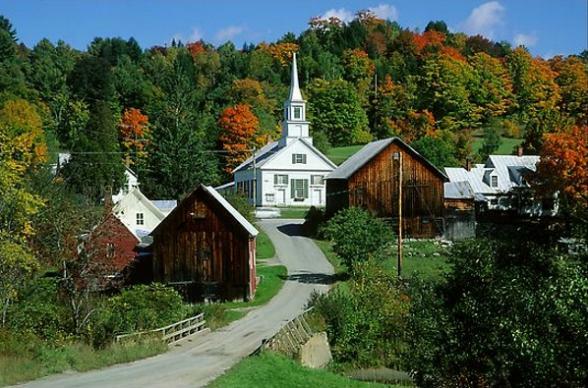 For a suggested holiday that includes this hiking experience check out our History, Hiking and Hamlets in New England fly-drive holiday. However, perhaps you may decide to fly down to Florida and relax on its sunny beaches before heading back to the UK. 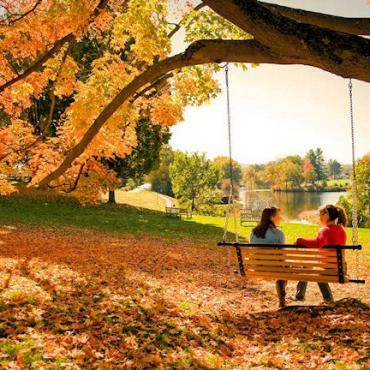 Or Maybe you would like to spend some time on a city break and head to New York city for a few days exploring and sightseeing. 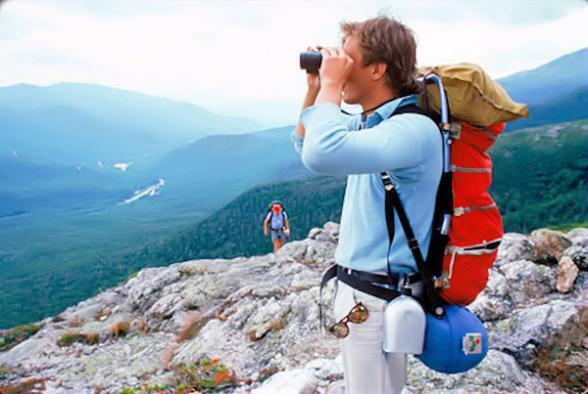 Call the USA travel specialists at Bon Voyage to discuss your perfect Hiking Adventure in New England.